Commander Matt Koehl – a dedicated national socialist activist since his teenage years and successor to George Lincoln Rockwell – died on October 10th at his home in Wisconsin, USA. He was 79 years old. After studying journalism at the University of Wisconsin-Milwaukee, Matt Koehl served for two years active duty in the US Marine Corps. Prior to joining Rockwell’s American Nazi Party (later the National Socialist White People’s Party) in 1960, he had been active in three other US racial nationalist groups: the National Renaissance Party, the National States Rights Party and the United White Party. In 1958 he worked with Rockwell on the Alabama governor campaign of the NSRP’s Admiral John Crommelin. 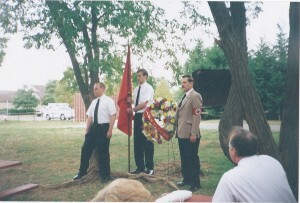 Matt Koehl (right) at a commemoration in Arlington, Virginia, in 1997 for the 30th anniversary of George Lincoln Rockwell’s assassination. 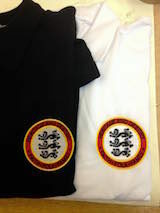 The event was attended by H&D editor Mark Cotterill and assistant editor Martin Kerr. Matt Koehl moved to the ANP’s Virginia headquarters in 1963 as the party’s national secretary. Rockwell was assassinated in August 1967, and Koehl succeeded him as NSWPP Commander. 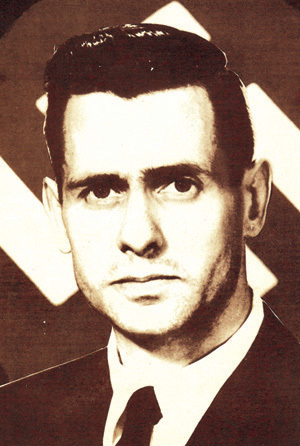 For many years he worked alongside Colin Jordan in the World Union of National Socialists. At the end of 1982 Commander Koehl renamed the NSWPP as New Order, and promoted a mystical national socialism influenced by Savitri Devi and Miguel Serrano. 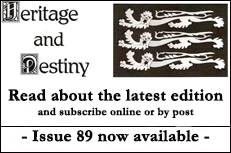 His right-hand man in the NSWPP and New Order was Martin Kerr, assistant editor of Heritage and Destiny. A full obituary will appear in a forthcoming issue of H&D.